As a waitress/waiter you need to work as a team from the second the guest arrives. 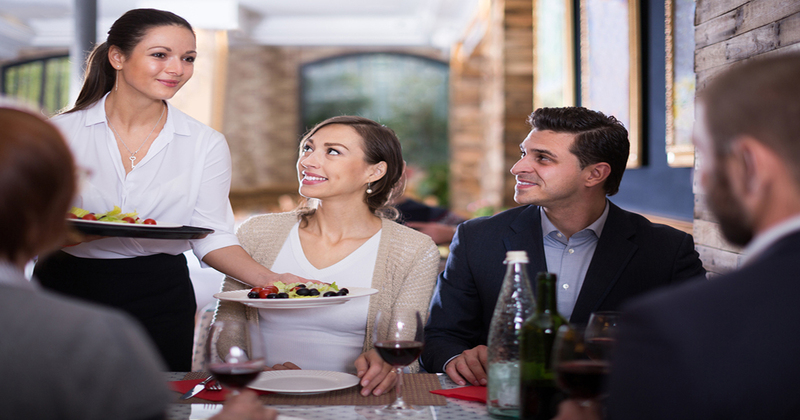 Every team member, from the host to the cook, from the bartender to the busser, has to be on their A-game to bring the best restaurant experience for the customer. Bicom Systems is an International company, so working as a team is vital. Whether coworkers are in the same office as you or 1,000 miles away, you find yourself working as a group. After all, ‘teamwork makes the dream work!’. “Table 22 needs a refill. Table 4 wants their bill. ‘Orders up!’ Great, now I need to run food to the bar.” That is just a fraction of the things that run through a server’s brain during a shift. They have to juggle many tables at the same time along with the other responsibilities on their plate. Multitasking skills are engraved in servers’ minds from the beginning. Just like waitstaff, salespeople must multitask. They have many accounts to keep track of, customers to follow up with, documents to update and more! Multitasking is an extremely important asset to have. Think of two occupations where employees have to talk to strangers on a daily basis. There are a few, but what comes to my mind are salespeople and servers. Of course you will have your ‘regulars’, but aside from that, waiting tables gives you the opportunity to meet many new faces. After dealing with all the nice, funny, weird, nasty, rude, and shy people, you will develop excellent communication skills. Those skills are extremely important for salespeople because even though you may not be interacting with them in person, you will have to over the phone. You do not see body language or facial expressions during a phone call, so you must be able to rely on your verbal communication skills. Having a positive attitude goes hand in hand with having excellent communication skills. Everyone has bad days and it doesn’t help when you have to serve a customer who is cranky. But in order for wait staff to make tips, they need to put a smile on their face and roll with the punches. Having the ability to put aside your emotions and focus your energy into the customer is a hard skill to master. Even though salespeople do not make tips, some are commission based employees. Their positive attitude plays a huge roll in if they get the sale or not. Learning to have a positive attitude in even the roughest of times, is a great work ethic. Wait staff are naturally self-motivated employees. They are hard workers and people pleasers because they know this results in good tips. The greater the service, the greater the reward. This can be said for salespeople too. As mentioned earlier, some employees who work in sales are commission based. Meaning they are also hard workers and people pleasers because they know they will be rewarded with a sale (and commission). Self-motivated workers have a natural drive and motivation to begin tasks without the need of being asked to do so. They want to further their success in the company, as a result, furthering the success of the company as a whole. Those are just some of the many talents and skills that wait staff possess. At our Canadian office, some of our best employees have come from the hospitality industry. If you think you might be interested in a new career choice or want to learn more about what we do, come meet our team! Feel free to, Contact us to grab a coffee or have a call with one of our existing employees. Previous articleWhat is CDR Partitioning?